New some fresh Icons for your website or desktop? 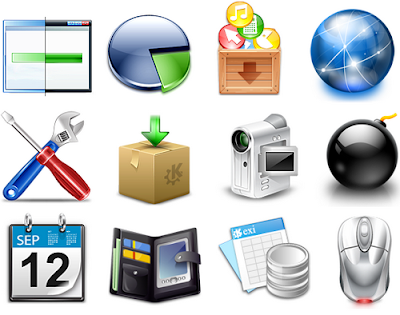 User-friendly icon sets are always nice to look at and useful to have ready to hand. Since effective designers guide their users’ attention using visuals, icons can (and probably should) be used in almost every project you are or will be working on. Whether for an illustration, sketch, site or weblog - used moderately, icons can point users’ attention to the key-aspects of an article or specific site sections and communicate the message of the site in a more effective way. Make your life more beautiful here.